The Centre for Urban Innovation opened at the end of November 2018. Located on 44 Gerrard St., the building provides space to research and incubation hubs such as the Science Discovery Zone. Ryerson submitted an application to rezone a parking lot into a space suitable for a 41-storey building at Dundas and Jarvis streets. The building would have space for classrooms, lab spaces and residence units, according to the application filed on Dec. 21. The Board of Directors did not hold a meeting during the month of December. Our news editor, Sherina Harris, was upset when she showed up anyway. The provincial government’s lack of funding for Ryerson’s law school has not slowed it down. Lachemi said he wrote a letter to minister of Training, Colleges and Universities, Merrilee Fullerton to which she didn’t respond. Nevertheless, our president is set on #RyeLaw. “We’re working hard to meet our target,” he said adding that the next step will be to recruit a dean and faculty for the school. According to the president, the law school is still on track to accept students this fall for enrollment in September 2020. 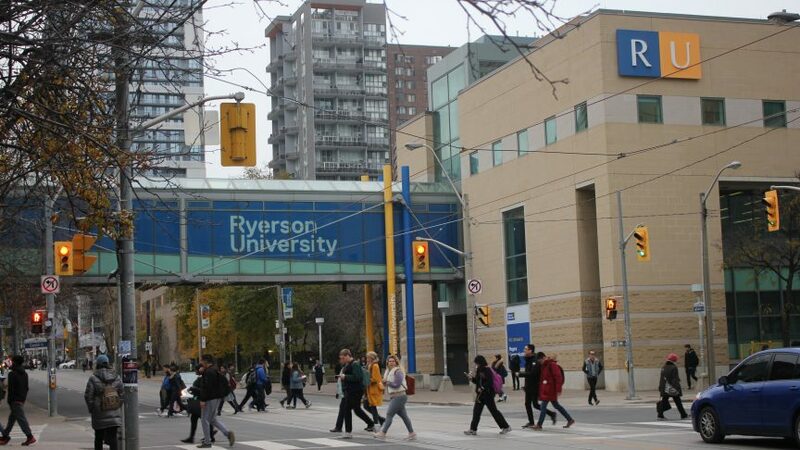 According to Ryerson’s vice-president equity, Denise O’Neil Green, the Ryerson community can expect an updated action plan and progress report from the Truth and Reconciliation Committee this semester. Ryerson’s Truth and Reconciliation Community Consultation Report was released last January. Green did not provide an exact date for when the update report will be released. The annual RSU elections will be held in early February. Get ready for pancakes, waffles and non-recyclable campaign materials galore.